Love conquers all, even kidney failure. Altai Shaimukhambetov and Lyazzat Nurgaliyeva from Kazakhstan are both dialysis patients and married one month after they met during their treatment. 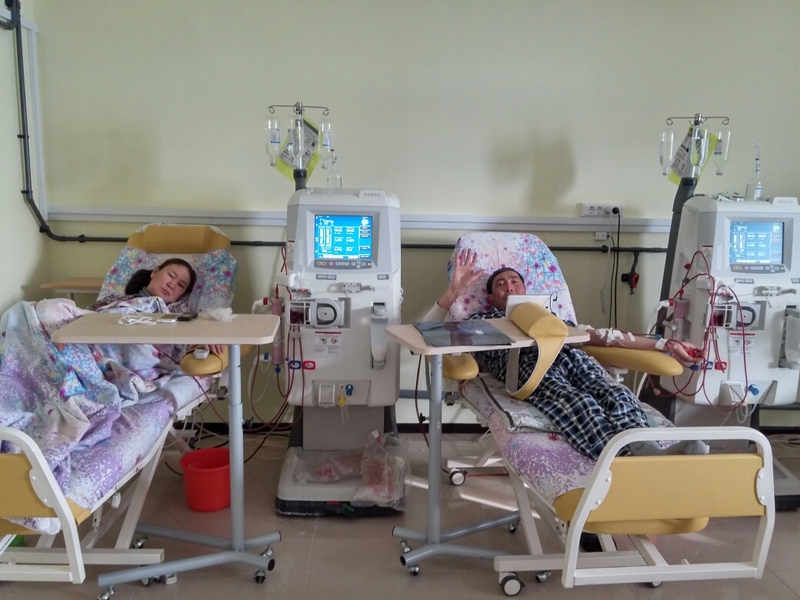 In April, Altai and Lyazzat met each other in our dialysis center in Aktobe, Nefros Asia LLP – Diaverum Kazakhstan. Altai was just being connected to the dialysis machine, when he saw Lyazzat in the bed next to him. By a twist of fate, it had happened that they were undergoing treatment in a double room. “We were chatting, joking, laughing – and did not even notice when the treatment session was over!”, Altai remembers. From there, things went very quickly. After the treatment, Altai accompanied Lyazzat home. The following day, he asked her to stay together and she just smiled. Only one month later the two married! Since that day, they enjoy life as a couple, sharing their joys and sorrows. “We do not have disputes or misunderstanding, we just enjoy harmony”, both say. The entire Diaverum team of the dialysis centre in Aktobe wishes them all the best for the future!